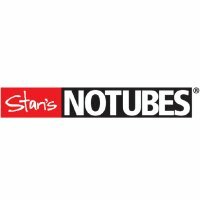 Stan's No Tubes The Injector makes it much easier and cleaner to inject sealantinto your tubeless tyre as shown in Stan's video. The Injector enables you to draw used tyre sealant (it's safe to reuse Stan's Sealant) from a worn-out tyre and reuse it when you install the replacement tyre. The Injector minimises fuss and mess when fitting a tubeless tyre. Makes it easier to inject a measured amount of sealant into each tyre.